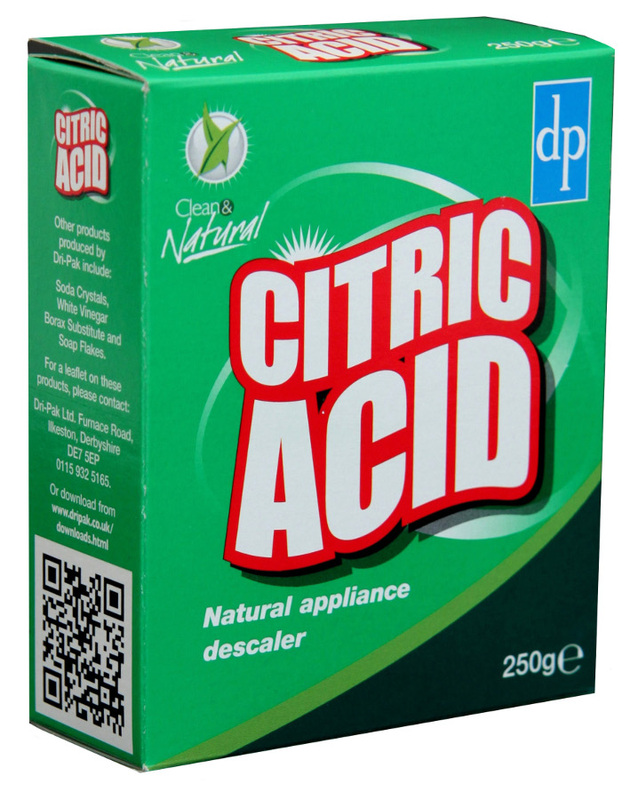 A 'natural' acid commonly found in citrus fruits. It is used for descaling appliances such as kettles, irons, coffee machines, shower heads & sterilisers. To protect your appliances descale them regularly to prevent build up; the harder your water the more regularly it will need doing. Left untreated, energy bills will rise as electricity is used to heat the limescale first. Build up causes damage. Limescale forms on heating elements & surfaces due to calcium salts in hard water. This increases running costs & shortens the life of the appliance. 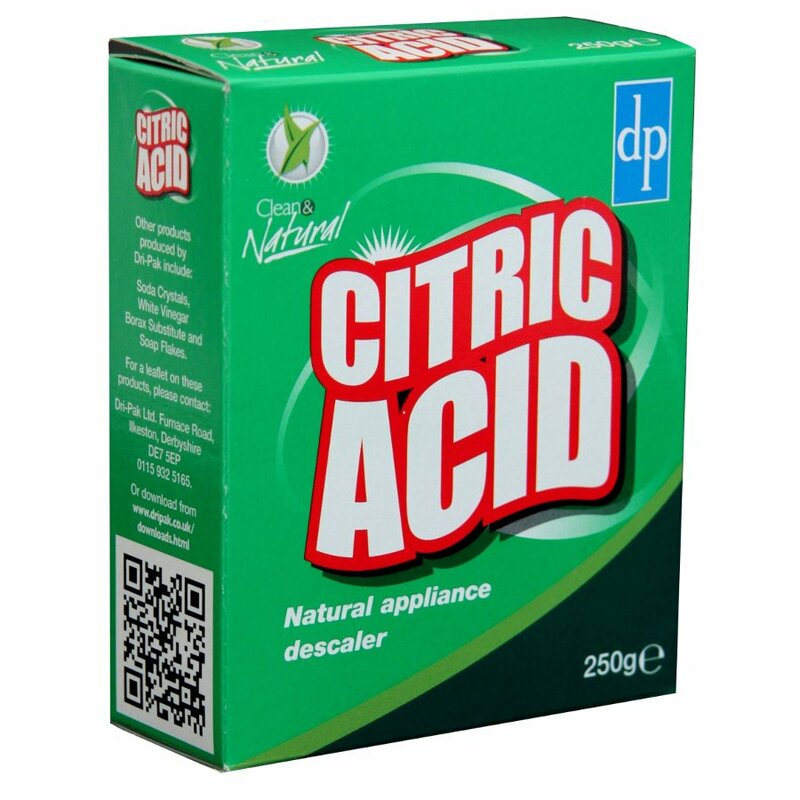 There are currently no questions to display about Citric Acid 250g.